Tyler Fruge, M.A. 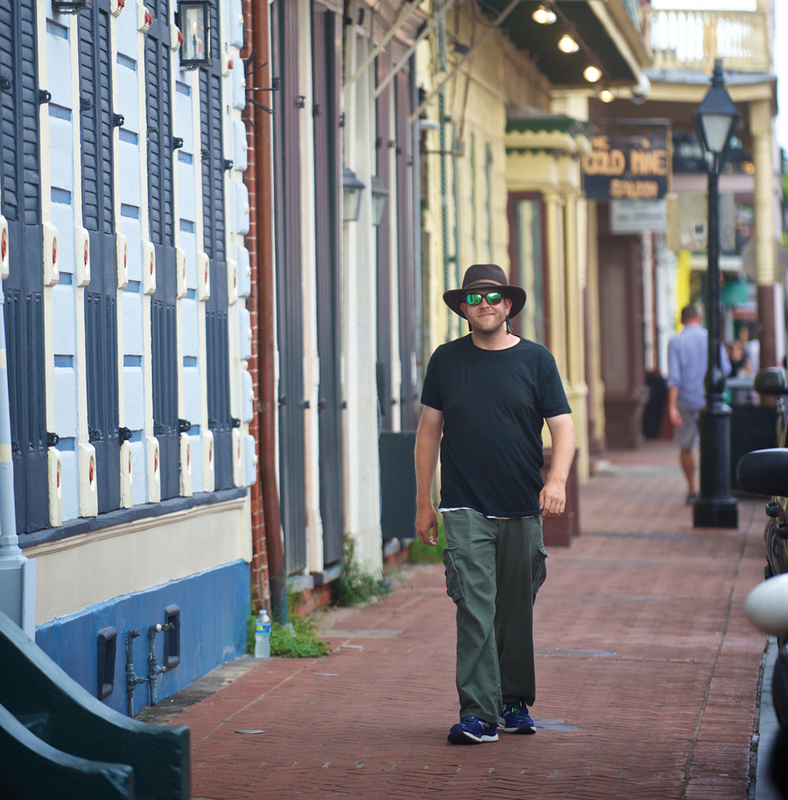 ’14, who lives in New Orleans, already has won awards for a film he wrote and codirected. Tyler Fruge´, M.A. ’14, can’t wait for the film The Magnificent Seven to open in September. Under the hot Louisiana sun for four months last year, he put in 14-hour days as a production assistant on the film starring Denzel Washington, Chris Pratt and Ethan Hawke. “It was a phenomenal experience that I wouldn’t trade for anything,” Fruge´ (pronounced Froo-jay) said of the remake of the 1960 western of the same name, which was shot mostly in Jackson, Louisiana, near Baton Rouge. Fruge´ has worked as a day player—hired on an if-needed daily basis—on several films and television series, including Jack Reacher: Never Go Back, starring Tom Cruise and due to be released in October, and Geostorm, a Warner Brothers science fiction film coming out in 2017. He is currently working on Wolverine, which is filming in New Orleans throughout the summer. Fruge´’s writing and directing career is off to an excellent start. The Giant’s Fairy, which he wrote and codirected, won several awards in the New Orleans branch of the 48 Hour Film Project in 2015, including best film, best directing and best cinematography. The eight-minute film is from the “film da femme” genre (each filmmaker in this nationwide competition for short films is assigned a genre), in which at least one role must represent a strong female character. “The Giant’s Fairy is about a man grieving a friend lost in a public shooting, who then meets someone of supernatural origins who helps him heal,” said Fruge´. The film (which can be viewed at https://vimeo.com/135266478) was selected to the Julien Dubuque International Film Festival in Iowa this past April and the Southern Screen Film Festival in Lafayette in November 2015. While working on Wolverine, Fruge´ also is writing a supernatural action-adventure thriller, producing an animated science fiction short and coproducing an anthology thriller feature film. Fruge´’s master’s thesis at Longwood, where he studied creative writing, was a series of 10-minute plays. One of them, “Waterworks,” was chosen for Longwood’s 0-60 Ten Minute Play Festival this spring, for which he returned to campus. “I learned so much about visual writing, which is crucial in film writing, from [English professors] Brett Hursey and Rhonda Brock-Servais. Both were a huge influence,” he said. The Giant’s Fairy – 48hr NOLA 2015 from Construct Films on Vimeo.